A Mary and baby string art pattern has been added to the String Art Fun website. The design features Mary holding baby Jesus. The pattern is in the Christmas section of the String Art Fun website under Mary and baby. 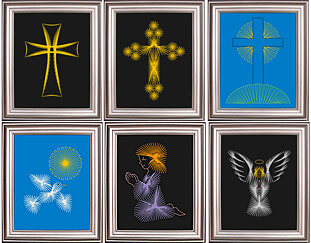 This entry was posted in String Art and tagged christmas, religious, String Art Fun on Wednesday 18 November 2015 by David Jefferson.